Since its inception over a decade ago, The Ribbeck Law Firm has emphasized getting positive results for their clients—whether individuals or businesses. 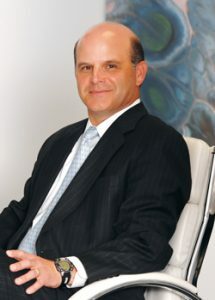 Craig Ribbeck has spent his career representing both defendants and plaintiffs in a wide range of areas which include complex commercial disputes, shareholder oppression suits, corporate disputes, partnership disputes, contract disputes, consumer and TDTPA disputes, protecting creditor’s rights, employment disputes and personal injury cases. Craig Ribbeck is regularly in the courtroom in front of Judges and juries. He has handled and tried numerous cases in Texas District and County Courts, Texas Appellate Courts, The Supreme Court of the State of Texas, Federal Courts in Texas as well as the Fifth Circuit Court of Appeals and the United States Court of Federal Claims. Craig Ribbeck remains dedicated to providing his clients a high level of direct access and availability, maintaining strong client relationships, and obtaining efficient and positive results for his clients.